Wisconsin's best known drug policy reformer, Weedstock organizer Ben Masel, was pepper-sprayed and arrested by University of Wisconsin-Madison police as he collected signatures for his senatorial campaign the evening of June 30. He was charged with disorderly conduct, resisting a police officer, trespassing, and remaining after being warned to leave, all misdemeanors. Masel is running for the Democratic US Senate nomination against incumbent Sen. Herb Kohl. He is accepting only $1 donations and says he will have a web site up soon. He has until Tuesday to turn in his signatures and said this week he is confident he will make the ballot. The long-time activist was at the UW Memorial Union collecting signatures during a hip-hop concert when two union managers told him he could not solicit signatures on the property and asked him to leave. Masel "politely declined," explaining that he is allowed to collect signatures on public property. The managers again asked him to leave and called campus police when he failed to do so. Campus police officers John McCaughtry and Michael Mansavage accosted Masel, pepper-sprayed him in the eyes, then pepper-sprayed him again while he was on the ground and restrained. Masel -- whose is only accepting contributions of $1 -- said he never struggled with the officers and would have gone along willingly if the police had asked. "If they had said something along the lines of 'Mr. Masel, you're under arrest,' I would have put my hands behind my back and complied," he said. The entire incident was witnessed by -- among others -- Madison Mayor Dave Cieslewicz, who told the Wisconsin State Journal Masel wasn't bothering anyone. "I didn't feel Ben was causing any disruptions," Cieslewicz said. "I certainly didn't feel he was disrupting my evening at all. I didn't see a reason to remove him from the terrace." Wisconsin Union assistant facilities director Roger Vogts told the Journal the Memorial Union has a policy forbidding people from handing out literature, collecting signatures, or similar activities. "We don't want people coming in, going table to table, bothering people," Vogts said. But the union has been inconsistent in enforcing its legally questionable policy. In the wake of the incident, the Capital Times contacted several politicians who said they routinely solicited signatures at the spot where Masel was arrested. They were never asked to leave, let alone assaulted and arrested, they said. The UW Memorial Union and its cops picked on the wrong guy, as Masel is notorious for winning lawsuits against state and local officials for violating his rights. 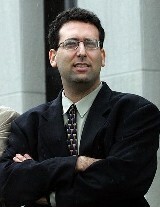 He has filed and won lawsuits against Dane County for blocking his leafleting at the Harvest Festival, against then Gov. Tommy Thompson (R) for denying permits for the festival and over the issue of amplification at the festival, against the city of Madison over leafleting the US Conference of Mayors in 2005, and against a community college and the city of Madison for being arrested while leafleting for an anti-drug war district attorney candidate. Masel's biggest win (and payout) came in Sauk County, where the county had to pay him $95,000 after illegally arresting him during the 2000 Weedstock festival. He is also suing police in Kansas City over a 2001 incident on an Amtrak passenger train. Masel was traveling from Albuquerque to Chicago when police boarded the train and asked two young men to consent to a warrantless search of their belongings. Masel stood and informed the young men they had the right to refuse a search, after which police arrested him for obstruction of justice. He is seeking punitive damages for violation of his free speech rights and compensation for repeated trips to Missouri to fight the case against him, which was eventually dropped. Now the university's Memorial Union will be the next to face a Masel lawsuit, he told DRCNet. "First, I'll be defending against the criminal charges, and then I will be bringing a countersuit on behalf of the campaign for violating free speech rights and against the officers for excessive use of force," he said. "There was not even a smidgen of justification for that second spraying when I was on the ground with the guy's knee in my back. The unnecessary force claim will focus on that one that they have no defense for. And I have some great witnesses," Masel laughed. "The mayor was sitting only eight feet away." The incident has aided his signature-gathering effort, Masel said. "It's been a lot easier to collect signatures since I got pepper-sprayed," he said. "And the state Democratic Party chair, who had promised me a speaking slot at the convention, but then didn't have me on the list very quickly, turned around and gave me a slot after my arrest." Masel, whose activism has taken place under varying banners, said he was running as a Democrat because the incumbent, Herb Kohl, did little and because the party claimed it was open to grassroots activism. "There's been a lot of rhetoric from Howard Dean and the state Democratic Party here about how the party is more open now, so I decided to test them. They haven't quite passed with flying colors, but they haven't failed the test, either," he said. While he is known primarily as a drug reformer, Masel is not emphasizing the issue -- because he doesn't have to. "I'm so known statewide on drug policy, I don't actually have to talk about it much. The reporters will always ask me about it." Instead, he is emphasizing concerns about the Patriot Act and related electronic privacy issues and says his first bill as senator would tighten the War Powers Act to make it more difficult for presidents to take the country to war. "I'm trying to break out of the one-trick pony thing on drug policy," he said. Last week, the California legislature voted to approve changes to Proposition 36, the state's "treatment not jail" law, that would alter the law's basic philosophy. This week, Prop. 36 supporters are waiting for Gov. Arnold Schwarzenegger to sign the bill into law. Then they will immediately file suit to have the new law overturned. Under Prop. 36, the state has saved $1.3 billion dollars, according to a study carried out by researchers at UCLA. But that study also found that nearly a third of Prop. 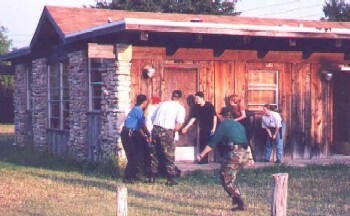 36 clients failed to complete drug treatment. Another study in 2004 found that nearly a third of people receiving drug treatment under Prop. 36 were arrested on drug charges within a year of entering treatment. The bill passed last week, SB 1137, toughens Prop. 36 by allowing judges to sentence people who relapse into drug use to periods up to five days of "flash incarceration." Originally drafted by law enforcement and California drug court professionals -- the groups who opposed Prop. 36 from the beginning -- the bill ultimately introduced by Sen. Denise Ducheny (D-San Diego) managed to win bipartisan support at the statehouse in spite of warnings from the legislative counsel's office that it was unconstitutional. "Legislation that would authorize a sentence of incarceration for a first, second, or third drug-related probation violation, if enacted, would constitute an amendment of Proposition 36 that would both not further that initiative statute and be consistent with its purposes," the office wrote last year. "Therefore, the legislation could not take effect without voter approval," the office concluded. While Prop. 36 supporters argue that jailing people who relapse is counterproductive, Ducheny and her law enforcement allies disagree. "Fundamentally, this is not giving them jail time for the drug offense but to say, 'Look, we gave you that opportunity and you decided, for whatever reason, not to take advantage of it... You didn't meet your responsibility to us, so we need some accountability,'" Ducheny said as the bill was being debated. But Assemblyman Mark Leno (D-San Francisco), chairman of the Assembly Public Safety Committee, disagreed. "I have long been opposed to this concept of flash incarceration," he said before voting against the bill. "There's no evidence at all that it works." Another strong legislative friend of Prop. 36, Assemblywoman Jackie Goldberg (D-Los Angeles) criticized the legislature for backing changes that "fly in the face of the 61.5% of the people who voted for" the initiative. The Drug Policy Alliance (DPA), which has fought to see that Prop. 36 is properly implemented and adequately funded and which bitterly fought the Ducheny bill, is prepared to go to court to stop what it sees as the legislature's unconstitutional attack on the ballot measure. "In passing SB 1137, the legislature made changes to Prop. 36 that go against the intent of the initiative as passed by voters, and the legislature cannot do that. Under state law, the only changes the legislature can make to an initiative are changes that further its original intent, and this does the opposite," said Margaret Dooley of the Drug Policy Alliance's Southern California office. "They changed a treatment initiative into an incarceration program where people in treatment can be thrown in jail. That violates the initiative's intent, and we will be asking the courts to decide that constitutional issue," she told DRCNet. SB 1137 also includes another constitutionally questionable provision. In an effort to block court challenges, the new law says that if any part of the legislation is found to be unconstitutional, the entire law will go to the popular ballot. That clause should arouse the ire of supporters of the initiative process, which is widely used in California, said DPA head of legal affairs Dan Abrahamson. "Once the public begins to understand the radical and unprecedented nature of that clause, you're going to see a variety of organizations who've used the initiative process in the past come out of the woodwork and join the challenge of this clause," he told the Los Angeles Times. "It's not just DPA, but all sorts of organizations across the political spectrum who have used the initiative process over the last umpteen years coming out of the woodwork to challenge this ridiculous provision," Abrahamson said. "If this provision is allowed to stand, we can kiss the initiative process goodbye," added Dooley. "Any politician who doesn't like an initiative could write a bill to change it, then if it goes to court and is found unconstitutional, he could take it to a public vote. Then another politician could repeat the process," she argued. "It is really disappointing that our legislators would vote for something that is clearly unconstitutional," Dooley said. "We need the courts to decide these matters now and correct this legislative mistake." Editorial: Is Ecstasy a Dangerous Drug? South Australian Member of Parliament Sandra Kanck aroused some ire in her country, including from Democratic colleagues, when she told her fellow parliamentarians that "ecstasy is not a dangerous drug." This month she went on to say that she had attended a "rave" and that she felt much safer there than if she had been out at a bar. Again fellow politicos were neither enraptured nor amused. Is ecstasy a dangerous drug? Certainly a lot of people say it is. Are they giving us the "straight dope" on that issue? One way to decide this question is to look at the numbers. When former New Jersey governor Christine Todd Whitman called for new mandatory minimum sentences for the drug in summer 2000, I took a look at the statistics, and was stunned to find that only eight deaths had been attributed to it by the Drug Abuse Warning Network (DAWN) during 1998, the latest year for which the statistics were yet available. That was a national statistic, not New Jersey, and it was not clear in every case that ecstasy was the cause as opposed to just being present in the situation. Compared this with the well over a hundred thousand dying each year from alcohol and the hundreds of thousands from nicotine -- well, I'm not sure what to say about it. Any preventable death is a tragedy. But is such a relatively miniscule number enough to justify calling ecstasy is a dangerous drug in the grand scheme of things? A study in the British Medical Journal made a similar finding, 81 deaths related to the drug between 1997 and 2000, 20 per year. Certainly the numbers are larger now, as the drug's popularity has increased. But still we are looking at pretty small numbers. The DAWN mortality report for 2003 said that "clubs drugs were reported infrequently." Ecstasy is just one of the club drugs, so it was even less frequent when looking at ecstasy alone. Even adjusting for the larger number of users of those drugs, it is still night and day. And those numbers could be further reduced by ending prohibition of ecstasy to insure its purity and that users will know its potency, and by pill testing, safety information and other harm reduction programs operating in places like raves as Kanck suggested. Since neither ecstasy nor raves are likely to go away anytime soon, instituting those measures widely would be a good move. DanceSafe's web site is a good place to get information about that topic. I would hesitate to say that any drug is completely safe, and the mortality numbers are greater than zero -- using ecstasy should by no means be done lightly without aforethought -- but the numbers also seem to say that ecstasy's dangers are radically less than many other widely used substances. So I would likewise hesitate to say that ecstasy is truly "dangerous," in the sense that most people think when hearing that word used. Certainly the moves to enact draconian criminal sentences for ecstasy seem kind of bizarre in that light. In that light I would say that politicians are much more dangerous than ecstasy. The good Ms. Kanck and like-minded ones excepted, of course. Just a week after the US House of Representatives voted to continue funding Justice Department raids on medical marijuana patients and providers in states where it is legal, the feds struck again. Five people have been arrested in a series of DEA and local police raids Thursday hitting 13 medical marijuana dispensaries in San Diego County. Some people are being charged under state marijuana distribution laws in the cooperative federal-local effort. More arrests are expected, local law enforcement officials said. The raids and arrests came as federal officials unsealed two indictments, one charging the Purple Bud Room and Tender Holistics Care dispensaries with illegally distributing marijuana, the other laying similar charges against five people who owned and operated Co-op San Diego. The feds also went after four doctors on suspicion of providing medical marijuana recommendations for people the officials claimed did not legitimately need marijuana. State and federal officials have filed complaints with the state Medical Board against the doctors. The San Diego District Attorney's Office announced it was filing marijuana distribution charges against five dispensaries: Ocean Beach Dispensary and Utopia, both on Voltaire Street in Ocean Beach; Native Sun Dispensary on Rosecrans Street, in the Midway District; THC Dispensary, no longer in business, in Pacific Beach; and the California Medical Center, on La Jolla Boulevard in La Jolla. In a statement announcing the busts, the DA's Office said it was not aiming at medical marijuana patients, but at retail pot outlets disguised as dispensaries. "Our office has no intention of stopping those who are chronically ill with AIDS, glaucoma and cancer from obtaining any legally prescribed drug, including medical marijuana, to help them ease their pain," said DA Bonnie Dumanis said. But the state's medical marijuana law is "being severely abused and it has led to the neighborhood pot dealer opening up storefronts from La Jolla to Ocean Beach to North Park," she said. Americans for Safe Access (ASA), the medical marijuana defense group, announced in an e-mail Thursday afternoon it was holding an emergency meeting in San Diego that evening to craft a response. Please submit listings of events concerning drug policy and related topics to [email protected]. June 23, 7:30-8:30pm, Lansing, MI, book talk with "Burning Rainbow Farm" author Dean Kuipers. At Schuler Books and Music, 2820 Towne Center Blvd., Eastwood Shopping Center, contact Laura Keefe at (646) 307-5580 or [email protected] for further information. June 29, 7:00-10:00pm, Los Angeles, CA, Los Angeles CityBeat party in honor of "Burning Rainbow Farm." At Café-Club Fais Do-Do, 5257 W Adams Blvd., contact Laura Keefe at (646) 307-5580 or [email protected] for further information. July 3, 8:00pm-1:00am, Portland, OR, benefit concert for Citizens for a Safer Portland marijuana low-priority initiative, featuring music State of Jefferson and The Buffalo Riders and guest Rob Kampia of MPP. At Lola's Room, 1332 W. Burnside St. (below the Crystal Ballroom), 21 and over, admission $15 at door, visit http://www.makeportlandsafer.org or call (503) 236-0205 for further information. 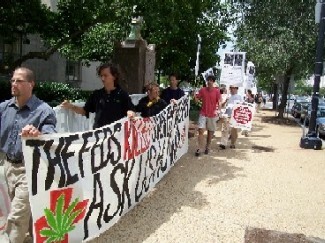 July 4, Washington, DC, Fourth of July Rally, sponsored by the Fourth of July Hemp Coalition. At Lafayette Park, call (202) 251-4492 or visit http://www.smoke-in.org for further information. July 14, 5:30-8:00pm, Chicago, IL, cocktail reception with Judge James P. Gray, author of "Why Our Drug Laws Have Failed and What We Can Do About It: A Judicial Indictment of the War on Drugs." Sponsored by the Heartland Institute, at the Millennium Knickerbocker Hotel, 163 East Walton Place, admission free, contact Nikki Comerford at (312) 377-4000 or [email protected] for further information. July 15-20, Chicago, IL, "Freedom, Tolerance, and Civil Society," free summer seminar for college students, sponsored by the Institute for Humane Studies. At Loyola University, visit http://www.i-liberty.org by April 10 for information or to apply -- apply before March 31 and receive a free book. July 20-23, Vancouver, BC, Canada, "Fourth Biennial International Meaning Conference on Addiction," contact Dr. Paul T.P. Wong at [email protected] or visit http://www.meaning.ca for information. 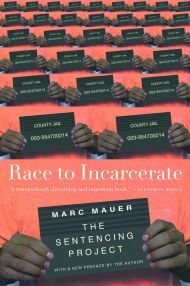 July 21, 7:00pm, Washington, DC, "Race to Incarcerate," book talk with The Sentencing Project's Marc Mauer. At Politics & Prose bookstore, 5015 Connecticut Ave., NW, visit http://www.politics-prose.com for further information. June 23, 1999: New Mexico Governor Gary Johnson tells an audience at the Cato Institute, "The nation's so-called War on Drugs has been a miserable failure. It hasn't worked. The drug problem is getting worse. I think it is the number one problem facing this country today... We really need to put all the options on the table... and one of the things that's going to get talked about is decriminalization." June 25, 1923: During a speech in Denver, Colorado, Senator Morris Shepard of Texas who had helped install prohibition of alcohol says, "There is as much chance of repealing the Eighteenth Amendment as there is for a hummingbird to fly to the planet Mars with the Washington Monument tied to its tail." June 25, 1987: Colombia officially annuls their extradition treaty with the US, following a barrage of personal threats from drug traffickers against members of the Supreme Court. June 25, 2003: The Superior Administrative Court of Cundinamarca, Colombia, orders a stop to the spraying of glyophosphate herbicides until the government complies with the environmental management plan for the eradication program, and mandates a series of studies to protect public health and the environment. June 26, 2001: China marks the UN international anti-drugs day by holding rallies where piles of narcotics are burned, and 60 people are executed for drug offenses, among hundreds killed by authorities since April 2001 in a crime crackdown labeled "Strike Hard" that alllowed for speeded up trials and broader use of the death penalty. June 27, 1991: The US Supreme Court upholds, in a 5-4 decision, a Michigan statute that imposes a mandatory sentence of life without possibility of parole for anyone convicted of possession of more than 650 grams (about 1.5 pounds) of cocaine. June 27, 2002: In Board of Education of Independent School District No. 92 of Pottawatomie County v. Earls, the US Supreme Court decides 6-3 to uphold the most sweeping drug-testing policy yet to come before the Court -- a testing requirement for any public school student seeking to take part in any extracurricular activity, the near-equivalent of a universal testing policy. June 29, 1938: The Christian Century reports, "In some districts inhabited by Latino Americans, Filipinos, Spaniards, and Negroes, half the crimes are attributed to the marijuana craze." In what could be the first sign of a course reversal by the National Multiple Sclerosis Society, which has scoffed at medical marijuana in the past, the group announced this week that it will fund a study on the effect of marijuana on spasticity in MS patients. While the Society acknowledges that up to 15% of MS patients use medical marijuana, funding the new study is the first time the group has indicated it is hearing what those patients are saying. The society currently rejects the use of marijuana to relieve MS symptoms. As it notes on its web site, "Based on the studies to date, it is the opinion of the National Multiple Sclerosis Society's Medical Advisory Board that there are currently insufficient data to recommend marijuana or its derivatives as a treatment for MS. Long-term use of marijuana may be associated with significant serious side effects. In addition, other well-tested, FDA-approved drugs are available, such as baclofen and tizanidine, to reduce spasticity in MS."
The Society said it was moved by inconclusive earlier studies on the effect of marijuana on MS spasticity to fund a one using a new measure. The study is not a new one; the group is taking over funding for ongoing research at the University of California Center for Medicinal Cannabis Research, which lost funding when the investigation was only partially completed. The study, by Dr. Mark Agius and fellow researchers at the University of California-Davis School of Medicine, is scheduled for completion in March 2008. Bolivian President Evo Morales traveled to the town of Irupana in Bolivia's Yungas coca-growing region Saturday to preside over the opening of a factory where coca leaves will be made into legal products. Morales, who rose to power as the leader of a confederation of coca growers' unions has vowed to seek alternative legal uses for the plant as part of his anti-cocaine strategy. "Manufacturing coca products doesn't do any harm because coca isn't a drug," Morales told hundreds of coca growing peasants in Irupana in an address that was televised around the country. "They're going to make flour, tea, soft drinks and other products in the first two plants," he said. Earlier this year, Morales traveled the world, in part to seek markets for coca products, and that strategy may be paying off. The Associated Press reported Bolivian government officials saying that China, Cuba, India, and Venezuela have already expressed interest in buying coca products. Morales has positioned himself alongside Venezuela's Hugo Chavez and Cuba's Fidel Castro as part of a leftist pole in hemispheric affairs. Bolivian Agriculture Minister Hugo Salvatierra told Bolivian state television that Chavez has pledged $1 million to fund two coca-processing factories. Although current Bolivian law limits coca production to some 29,000 acres in the Yungas, unsanctioned production is occurring there, as well as in the Chapare region. According to US and UN figures, Bolivia is the world's third largest coca producer, after Colombia and Peru. US government policy is to eradicate unsanctioned coca, but Morales would rather find legitimate markets for it. Nigeria's booming marijuana trade is more than the National Drug Law Enforcement Agency (NDLEA) can handle, the agency's commander in Edo state, a center of the trade, told a major newspaper last week. An undermanned, under-equipped, and under-budgeted anti-drug agency can't compete with rising domestic and international demand and few other economic options for northern farmers, he said. But the narc is making the best of it by claiming that Nigerian bud is now "the best in the world." That claim is open to heated debate, but "Indian hemp," as the locals call it, is now showing up in European markets, where it competes with the best the rest of the world has to offer. In its 2006 International Narcotics Control Strategy Report, the US State Department noted that "marijuana/cannabis is grown all over Nigeria, but mainly in central and northern states. Cultivation is generally on small fields in remote areas. Its market is concentrated in West Africa and Europe; none is known to have found its way to the United States. However, domestic use is becoming more widespread. The NDLEA has destroyed marijuana fields, but has no regular, organized eradication program in place. There are no reliable figures to determine crop size and yields." "The drug war in this part of the country is higher than any other place because, essentially, Edo state is a home for the cultivation of cannabis," state NDLEA commander Okey Ihebom told the Abuja Daily Trust. "They plant Indian hemp in large quantity in this state. The cannabis being produced in Edo and Ondo states is the best in the world. So, there is a ready market for it anywhere in the world. We also understand that the cannabis from those two states is more expensive. The producers and the peddlers are therefore willing to take any type of risk to produce and export the drugs." The state only has one vehicle for marijuana law enforcement and no good jail, Ihebom complained, and farmers have been known to fight back. "You cannot get a vehicle that can carry you to such farms. The farms are not accessible by any form of vehicle. You will drive into the forest and stop about 20 kilometers away from the farm and trek to the place," he explained. "At the farms, the farmers are mostly armed. They know the area better than us. After an exchange of fire, when we overpower them, we make arrest and commence the destruction of the farms. It will take us days to destroy a large farm. At times, they will regroup and fight us back with sophisticated weapons. That was how the command lost two of its men recently." It also lacks an effective prevention campaign. "People smoke cannabis out of ignorance," Ihebom said. "When we enlighten the public on the adverse effecting of smoking the drug, I am sure a good number of people will stop the habit and those that are not in the habit of smoking will report to us those they see smoking." Smoking pot was a bad idea, Iheobom told the Daily Trust. "The ordinary smoker is also very dangerous to the society," he claimed. "The moment one smokes and starts thinking he is what he is not, you know there is trouble ahead. So we are out for both the smokers, those trading it, the dealers, the exporters, the producers and the distributors as well," he said. While Ihebom emphasized violence linked to the marijuana trade, he conceded that wasn't always the case, but he worried that the inflow of money to the impoverished region would be harmful. "The perception that cannabis producing or consuming communities are violent, may not be entirely true. Look at Ondo, a leading cannabis producing state in the country and yet it is a peaceful state," he said. "But when you consider the inflow of cash from both within and abroad into cannabis producing communities, you realize that the cash flow encourages crime. That is exactly the case in Edo state. You know because of drug peddling and this international prostitution, there is also a lot of money here and so crime rate is also way high." Ihebom implicity recognized he was fighting a losing battle, but the tide could surely be turned with some more resources, darn it! "You see, drug war is not a war that should be left for the NDLEA alone to fight," he said. "America, with all its sophistication, cannot be able to stop drug peddling. If you look at the volume of drug that enters America daily, you will be surprised. It is true that with better funding and equipping, we will do more in our struggle with these people." Scotland's drug czar (or "tsar," as the Scots like it) has unleashed a week of furious debate by declaring that the war on drugs is lost and can never be won. The remarks by Tom Wood, chairman of the Scottish Association of Alcohol and Drug Action Teams, are only the latest in a series of similar declarations coming from Scottish politicians and law enforcement figures as the nation attempts to confront its intractable affair with illicit drugs. Despite decades of drug war, Scotland has some of the highest drug use rates in Europe and more than 50,000 heroin addicts. "I spent much of my police career fighting the drugs war and there was no one keener than me to fight it," Woods said in an interview with Scotland on Sunday. "But latterly I have become more and more convinced that it was never a war we could win. We can never as a nation be drug-free. No nation can, so we must accept that. So the message has to be more sophisticated than 'just say no,' because that simple message doesn't work," said the man charged with advising the Scottish Executive on future drug policy. "For young people who have already said 'yes,' who live in families and communities where everybody says 'yes,' we have to recognize that the battle is long lost." 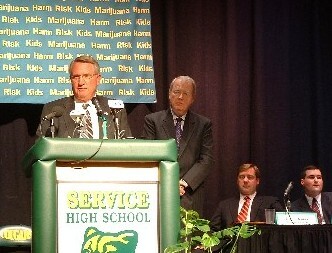 Wood said he was not advocating decriminalization or legalization of drugs, but a fundamental shift of priorities. "Throughout the last three decades, enforcement has been given top priority, followed by treatment and rehabilitation, with education and deterrence a distant third. In order to make a difference in the long term, education and deterrence have to go to the top of the pile. We have to have the courage and commitment to admit that we have not tackled the problem successfully in the past. It's about our priorities and our thinking," said Wood. "Clearly, at some stage, there could be resource implications, but the first thing we have to do is realize we can't win any battles by continuing to put enforcement first." Scotland's main drug fighters, the Scottish Crime and Drug Enforcement Agency (SCDEA), unsurprisingly differed with Wood's analysis. "I strongly disagree when he says that the war on drugs in Scotland is lost," said SCDEA head Graeme Pearson. "The Scottish Executive Drug Action Plan acknowledged that tackling drug misuse is a complex problem, demanding many responses. It is explicit within the strategy that to effectively tackle drug misuse, the various pillars of the plan cannot operate in isolation." While Pearson defended current policies, anti-drug crusader Alistair Ramsey, former director of Scotland Against Drugs, was fulminating against too much emphasis on treatment. "We must never lose sight of the fact that enforcement of drug law is a very powerful prevention for many people and, if anything, drug law should be made more robust," he told the newspaper. "The current fixation with treatment and rehabilitation on behalf of the Executive has really got to stop." Scottish Conservative justice spokeswoman Margaret Mitchell joined the attack: "I accept Wood's sincerity, but this is a very dangerous message to go out. I would never say that we have lost the war on drugs. Things are dire, but we should never throw up the white flag," she said. On Monday, Scottish Health Minister joined the fray, comparing eliminating drug use to providing healthy school lunches. "If you'd said Scotland's kids would be eating more healthily in school, they would have said it couldn't be done, so I'm very positive about these matters. We need to be positive and there's different ways of doing this. We're working hard to make sure we're successful and I do believe we can win that war, but it's going to need a lot of hard effort," he insisted. Wood's view did gain backing from groups like the Scottish Drugs Forum and the drug prevention and advice group Crew 2000. "I think Tom Wood is right. This is something our organization has been arguing for for a long time and it is good to see this is now coming into the mainstream," said Crew 2000 manager John Arthur. Wood was unbowed Monday as he took pains to praise Scottish police. "The Scottish drugs enforcement agency is one of the best in Europe" he said. "However, we have to accept that police activity has not reduced supply. It has not made a difference to the price or the purity." If you smoke a joint Friday night and drive to work bright-eyed and bushy-tailed Monday morning in Michigan, you can be arrested, charged, and convicted as a drugged driver because inactive chemical traces of THC, or metabolites, remain in your bloodstream. The Michigan Supreme Court ruled Wednesday that motorists can be convicted of Driving Under the Influence of Drugs (DUID) even if they are not under the influence of drugs. According to the Supreme Court opinion in the consolidated cases Derror v. Michigan and Kurts v. Michigan authored by Justice Maura Corrigan, actual innocence of driving while impaired is "irrelevant." In both cases, authorities charged the defendants under the Michigan DUID law based on the presence of cannabis metabolites, an inert byproduct of the body's breakdown of THC, in their blood. The presence of metabolites does not indicate impairment or being "under the influence"; it only indicates that someone ingested THC at some time in the past, as the state Supreme Court acknowledged in its ruling. Both trial courts held that the metabolite was not "marijuana" and thus a controlled substance under state law, a position upheld on appeal. Both a majority on the Supreme Court disagreed. Neither the DUID nor the controlled substances law "requires that a substance have pharmacological properties to constitute a schedule I controlled substance," the majority held. Neither does the DUID law "require that a defendant be impaired while driving. Rather, it punishes for the operation of a motor vehicle with any amount of schedule I controlled substance in the body." Then, breathtakingly, Justice Corrigan wrote, "It is irrelevant that a person who is no longer 'under the influence' of marijuana could be prosecuted under the statute. If the Legislature had intended to prosecute only people who were under the influence while driving, it could have written the statute accordingly." Now, any Michigan driver who has smoked marijuana in the last few days or, in the case of heavier smokers, up to three or four weeks, is subject to a DUID arrest based on the presence of inert leftover metabolites that do not actually indicate impairment. In a harsh dissent, Justice Michael Cavanaugh warned the court it would criminalize a huge class of people. "Today's holding now makes criminals out of numerous Michigan citizens who, before today, were considered law-abiding, productive members of our community," he wrote. "Now, if a person has ever actively or passively ingested marijuana and drives, he is [unknowingly] breaking the law, because if any amount of [cannabis metabolites] can be detected -- no matter when [the marijuana] was previously ingested -- he is committing a crime. The majority's interpretation, which has no rational relationship to the Legislature's genuine concerns about operating a motor vehicle while impaired, violates the United States Constitution and the Michigan Constitution." The ruling could have an impact beyond Michigan. 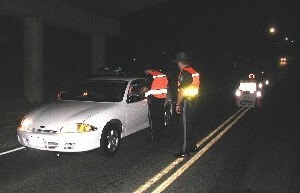 Twelve other states have enacted laws making it a criminal offense to drive under the influence of drugs. They use standards similar to those upheld this week -- the presence of trace levels of drugs or metabolites -- to assume impairment. Unlike drunk driving laws, which assume a certain blood alcohol level after which one is considered impaired, the DUID laws assume that the presence of any metabolite or trace proves impairment.